"Dub For The Radicals" are ten unearthed rock solid Roots Radics rhythm tracks dub charged by Alborosie and Flabba Holt at Shengen Studio, Jamaica. This is speaker shaking drum and bass from the original Roots Radics - pure dub fire - Alborosie meets The Roots Radics at their best in a heavyweight dub showdown! 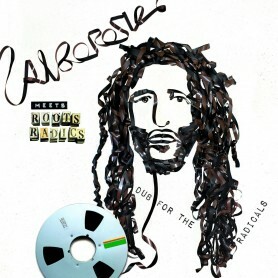 - It is Alborosie's fifth dub project following the strictly dubwise albums "Dub Clash" (2010), "Dub The System" (2013), "Dub Of Thrones" w/King Jammy (2015) and "Freedom In Dub" (2017).